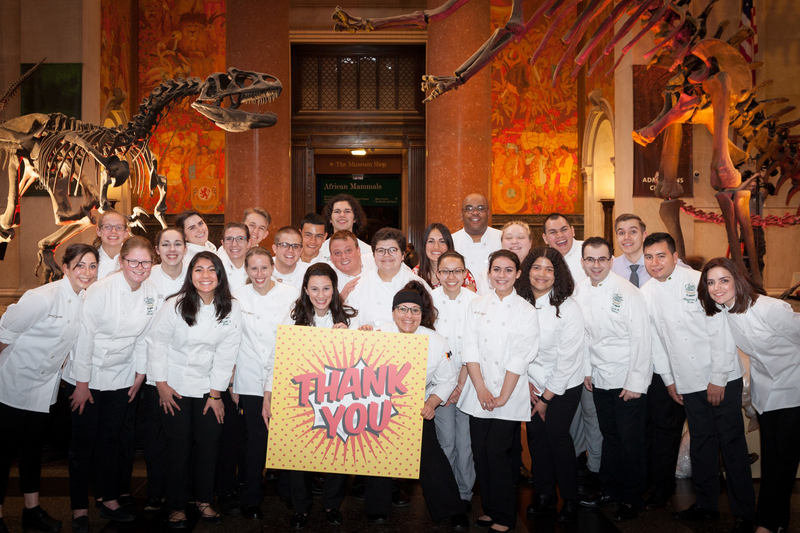 Hyde Park, NY – The Culinary Institute of America held its annual Leadership Awards event at the Milstein Hall of Ocean Life at the American Museum of Natural History in New York City on April 19. The Leadership Awards dinner is a major fundraiser for the CIA, with proceeds from sponsorships, donations, ticket sales, and an online auction all contributing to student scholarships. This year, more than $1 million was raised. Shep Gordon: Talent manager for rock stars, Hollywood agent, film producer, and New York Times bestselling author, Shep Gordon is credited with creating the celebrity chef category. The subject of an award-winning Mike Myers documentary film, Supermensch, he penned his own memoir, They Call Me Supermensch, in 2016. Jacques Pépin: Author of 30 cookbooks and host of more than a dozen PBS TV cooking series, Jacques is a former columnist for The New York Times and Food & Wine magazine. Chef Pépin's awards include France’s highest civilian honor, La Légion d’Honneur; 16 James Beard Foundation Awards, including the Lifetime Achievement Award; and an Emmy Award for his PBS series with Julia Child. 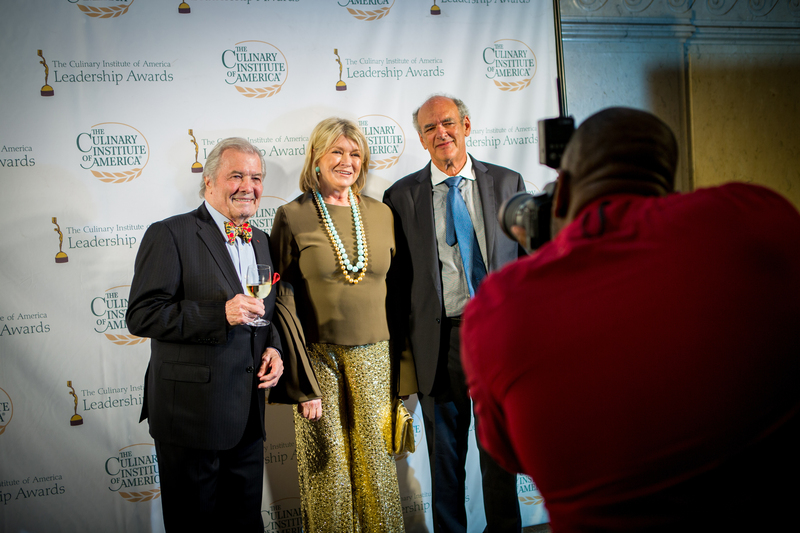 Martha Stewart: Emmy Award-winning television host, bestselling author, trusted lifestyle expert, and respected business entrepreneur, Martha Stewart’s brand of high-quality household and garden products are sold at major retailers nationwide. Her latest television show pairs her with rap star, Snoop Dogg. The Augie Awards were created by the CIA in 2007 and named for French Chef Auguste Escoffier in recognition of his unwavering pursuit of excellence, creativity, and professionalism. The annual award honors members of the food and foodservice business who exemplify those traits. 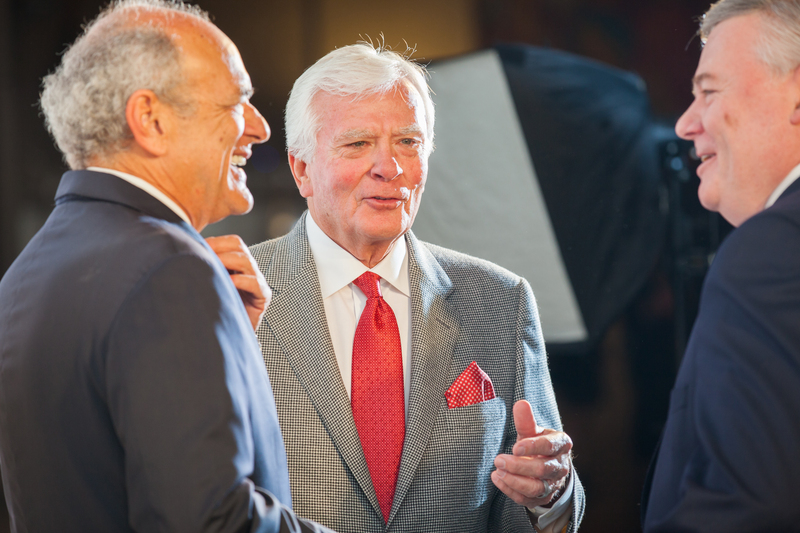 And this year, many of the guests were as recognizable as the honorees. 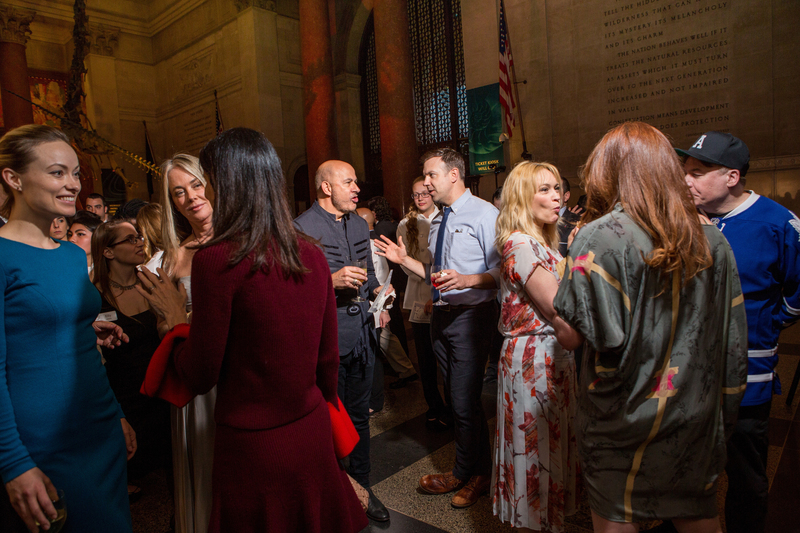 They included chefs and restaurateurs such as Geoffrey Zakarian ’83 (who was the evening’s master of ceremonies), Thomas Keller, Daniel Boulud, and André Soltner; and entertainers including Mike Myers, Olivia Wilde, and Jason Sudeikis. Each of this year’s honorees has served as a graduation speaker at the CIA. 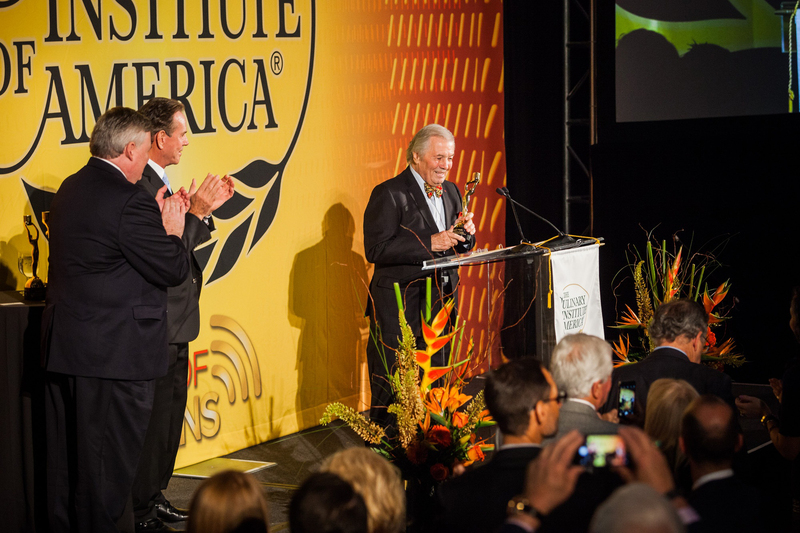 In his remarks, Dr. Tim Ryan, CIA president, introduced this trio of titans as having “amplified the food world in the public consciousness.” He went on to say, “each has inspired the students we serve to pursue futures in this exciting industry. Our students leave the CIA for career pathways that will lead to their success, and maybe even change our world. And each year, these pathways grow more and more diverse.” The diversity of the opportunities was brought home again by a video shown at the event of current CIA students who will be following varied paths following graduation: nutrition, culinary science, chain restaurant management, food media, and more. Generous supporters included platinum sponsor World Kitchen, gold sponsors Ecolab and The Luther Family Office/Jon and Sharon Luther, and dozens of other suppliers to the food and hospitality industries, plus many individual friends of the CIA.